RESPONSIBLE TRAIL LEADING. CALL 970-858-3468 TO REGISTER. Trail leading is serious business and not to be taken lightly. It is also fun if you are prepared for all situations. Learn skills needed to safely lead clubs, friends, and other groups. Do you have Community First-Aid/ CPR certification? Are you confident accepting a leadership position, responsibility for others in a group, and making safety a priority? 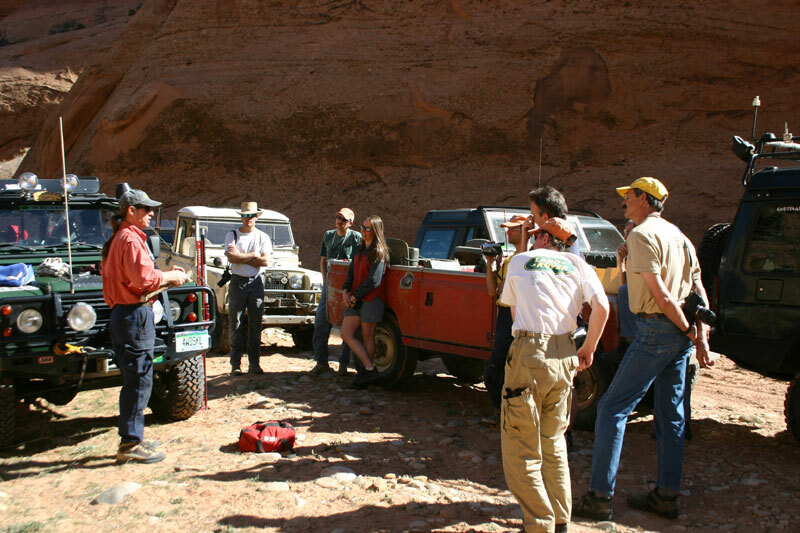 Do you have mechanical skills to enable a broken vehicle to get off the trail? Are you able to deal with multiple distractions? Do you have outdoor skills such as map reading, route planning and follow-through? Can you deal with confrontation calmly AND assertively? Can you pick a line, handle safe recovery techniques, and share environmental awareness? Be true to yourself. A hurt or dead guide does the group no good! We suggest 2-3 days minimum. This training includes extensive hands-on work under Bill’s guidance covering communication skills with a wide variety of personalities and situations, practical skills covering all 4-wheel drive related topics, and numerous handouts.